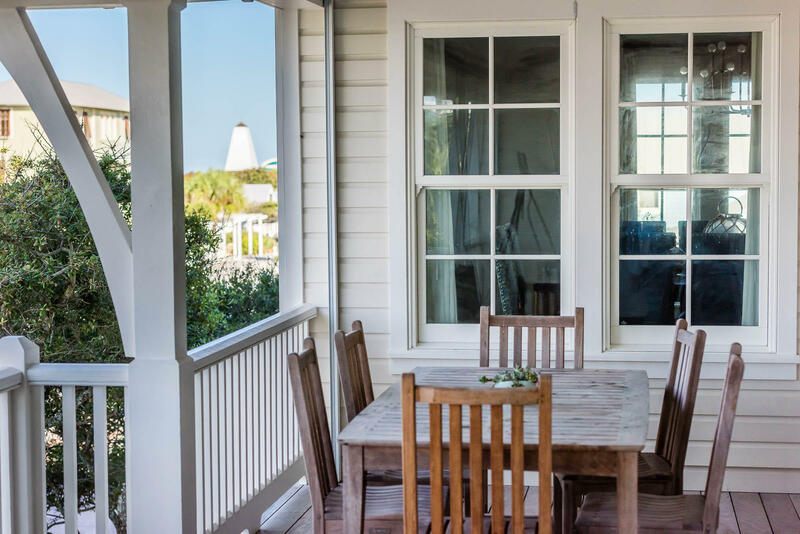 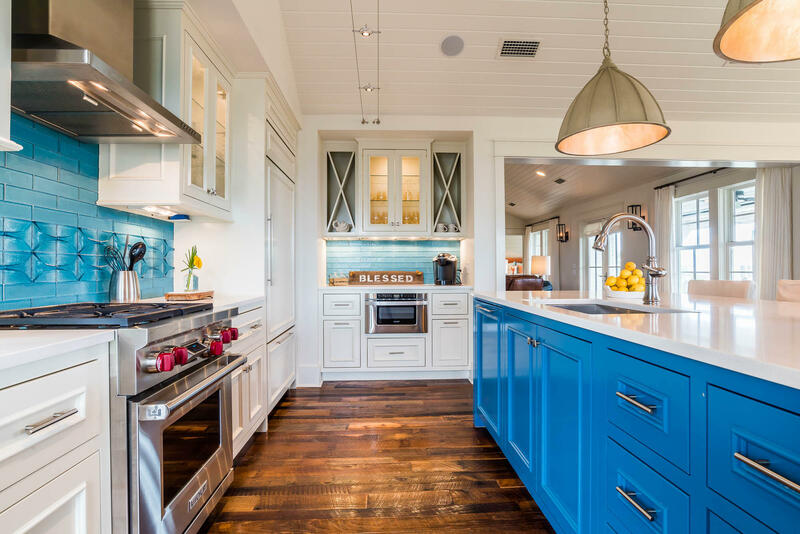 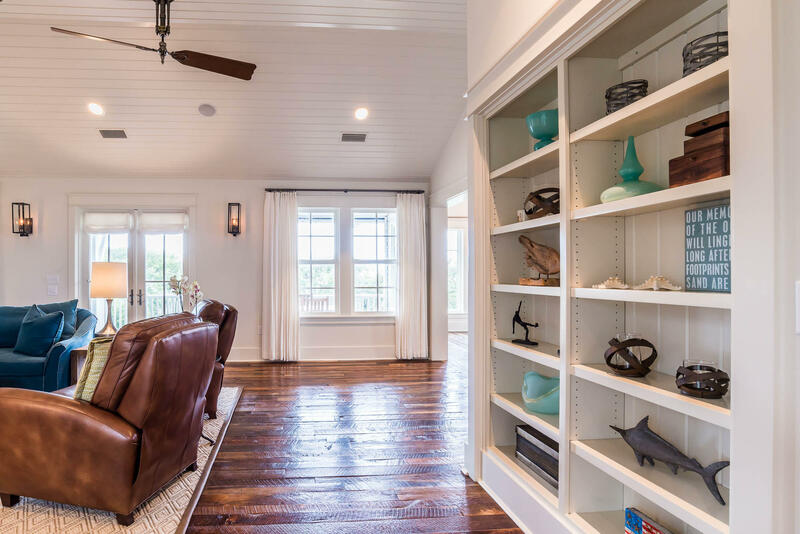 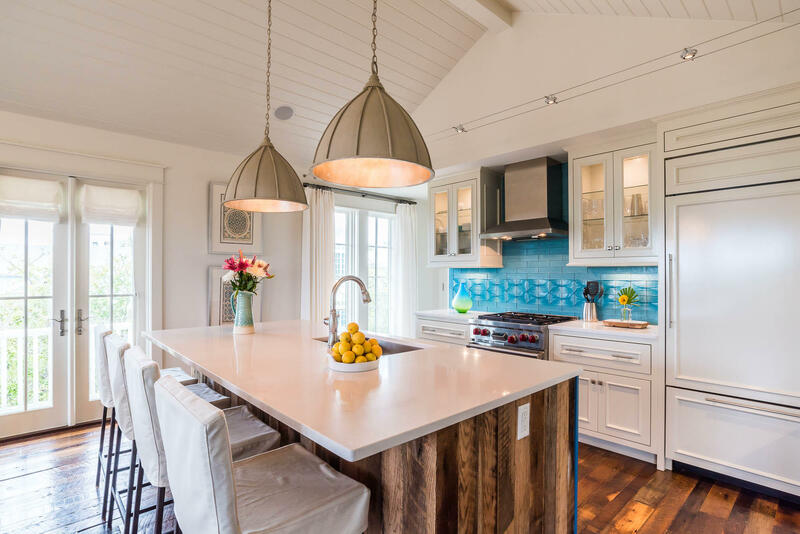 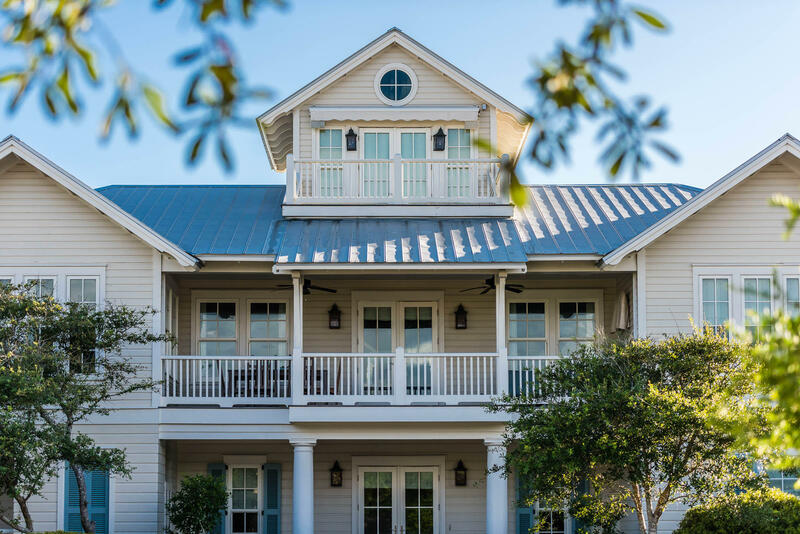 What makes a perfect family beach house? 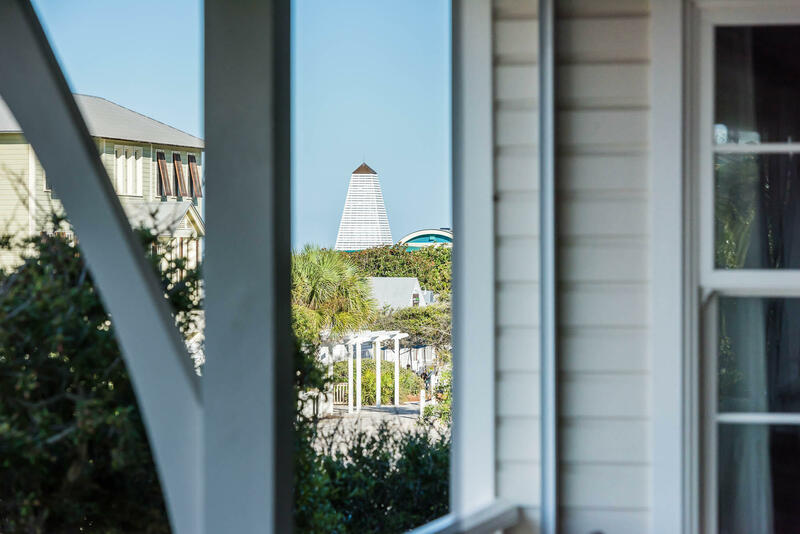 Walk into South Dock and you'll feel it instantly. 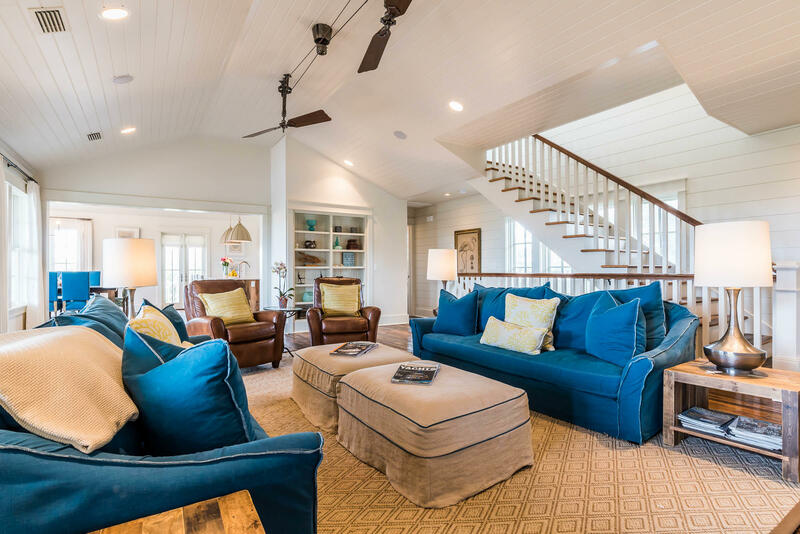 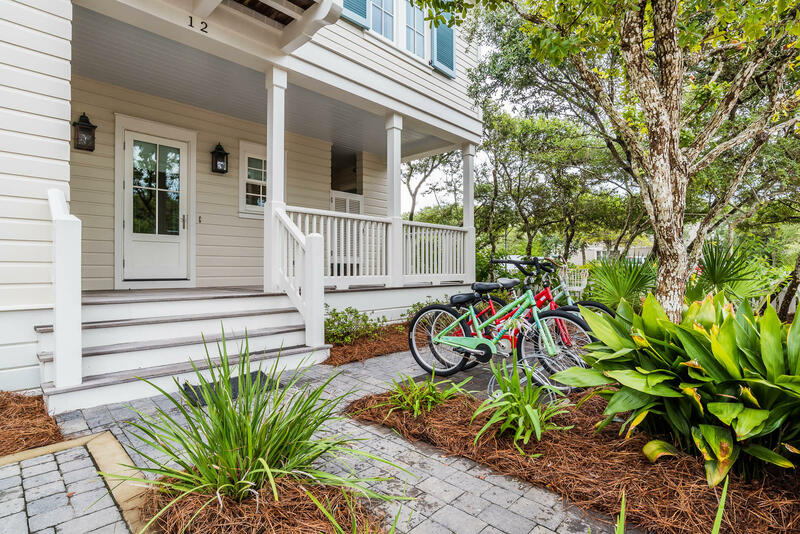 This beach house is designed for everyday living for extended families. 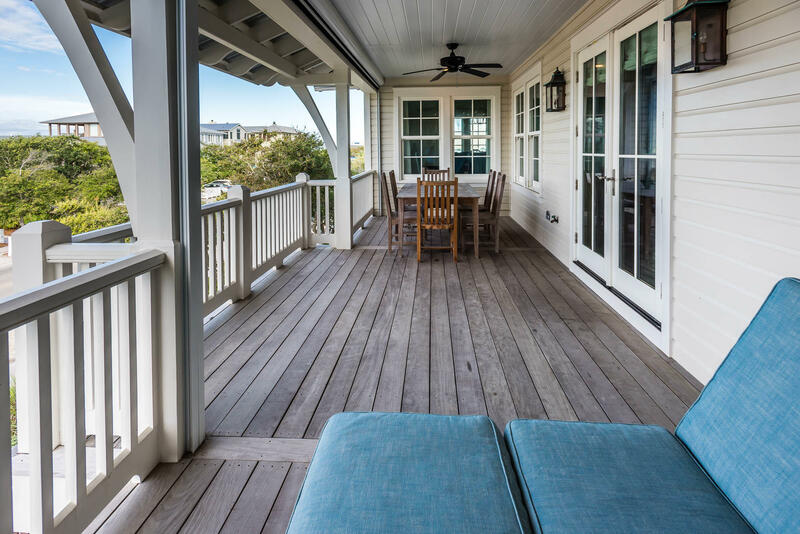 Lush native vegetation gives a bit of privacy to the deep-set covered front porch that wraps around the cottage. 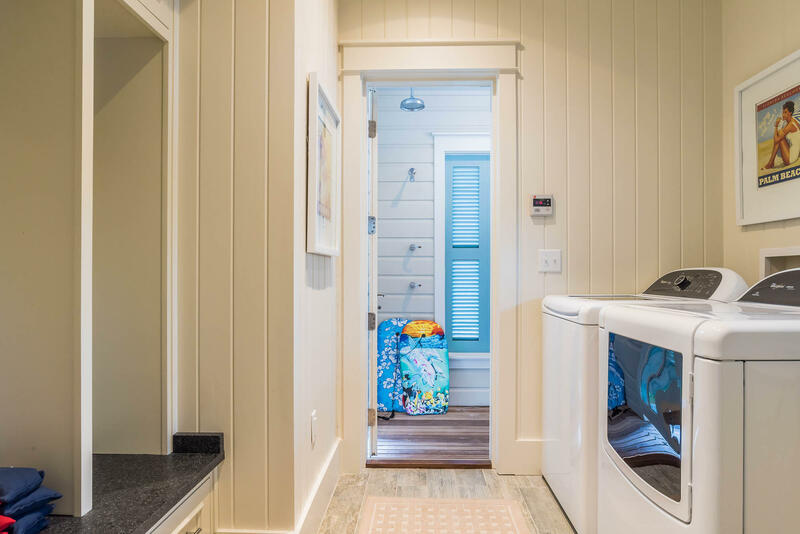 An outdoor shower is discreetly designed into the porch with saloon doors and features four showers heads with direct access to the laundry room to leave wet towels and bathing suits. 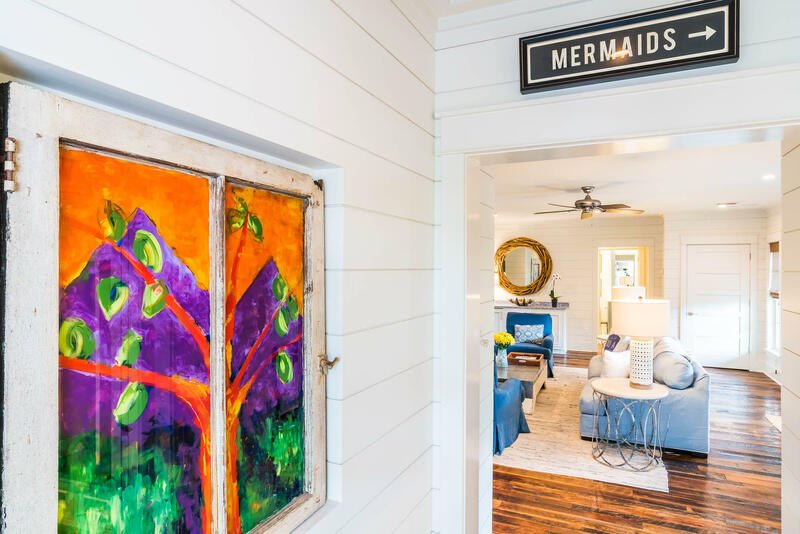 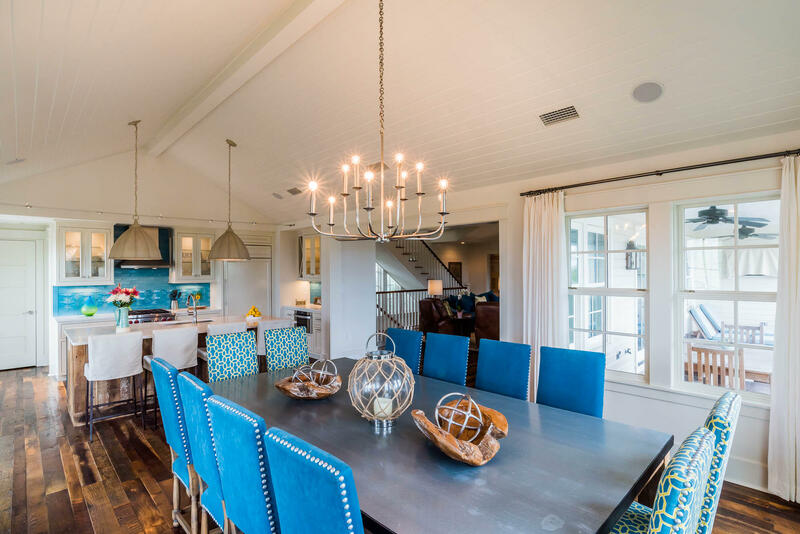 The home is furnished in the epitome of the ''Seaside Style''. 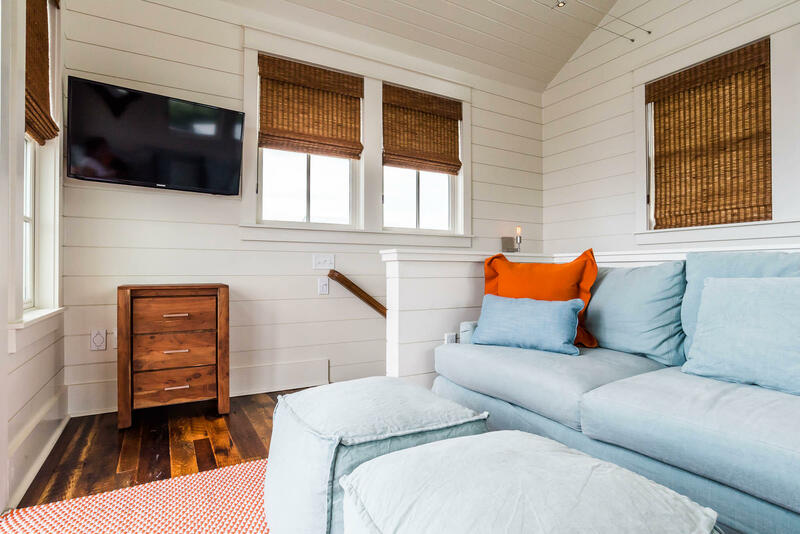 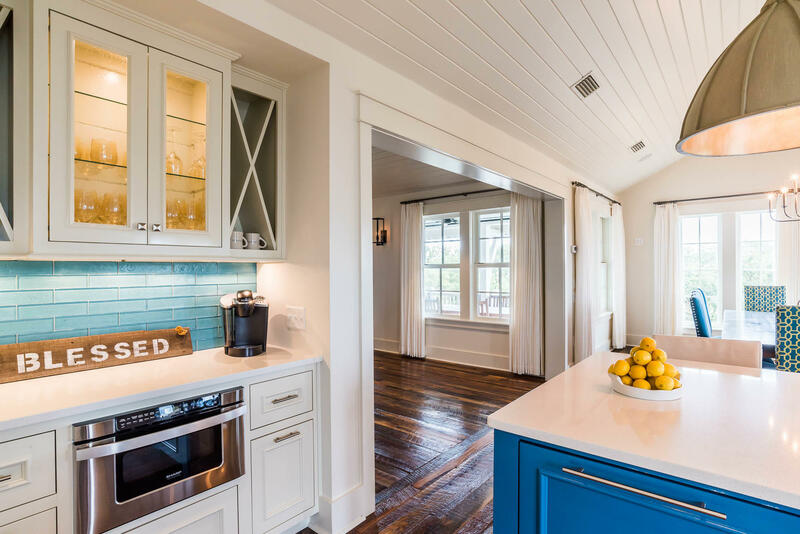 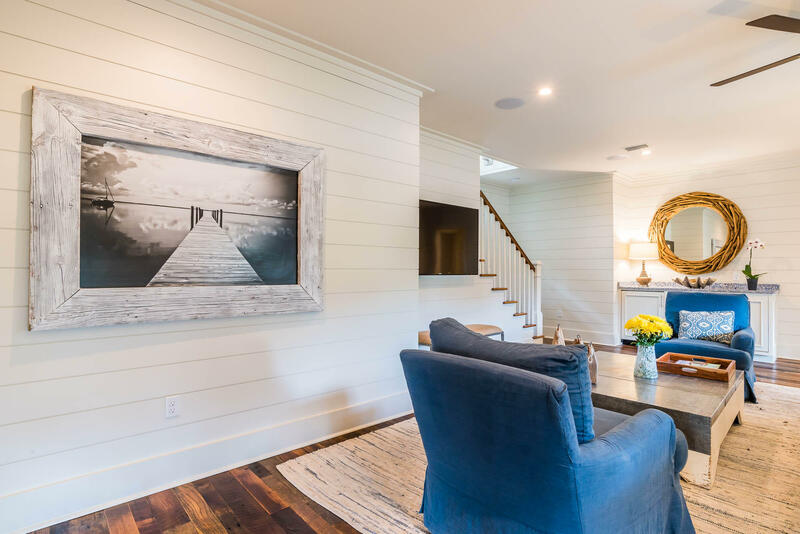 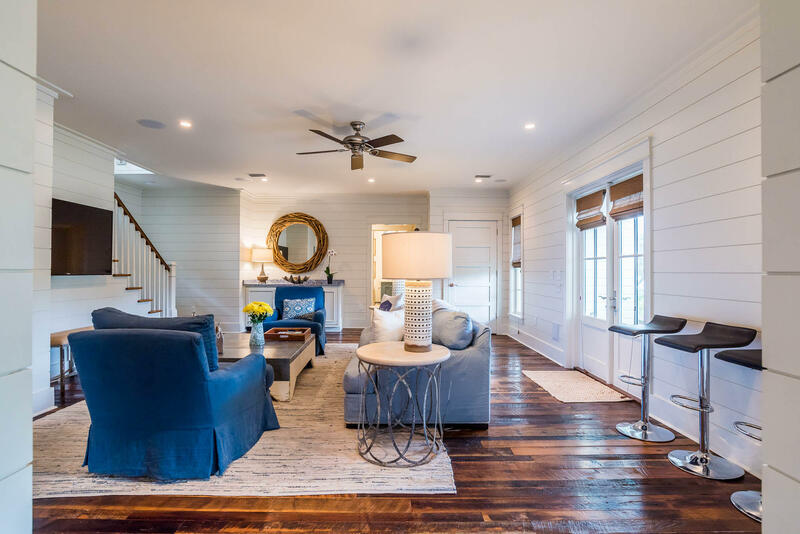 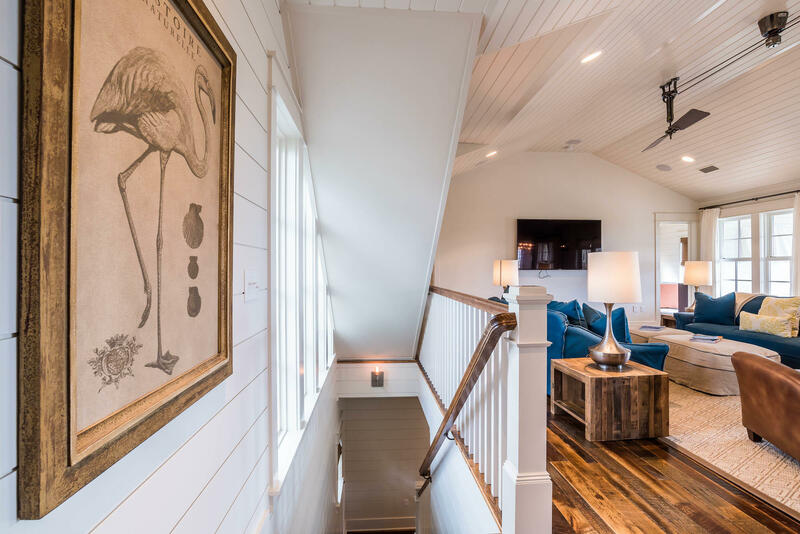 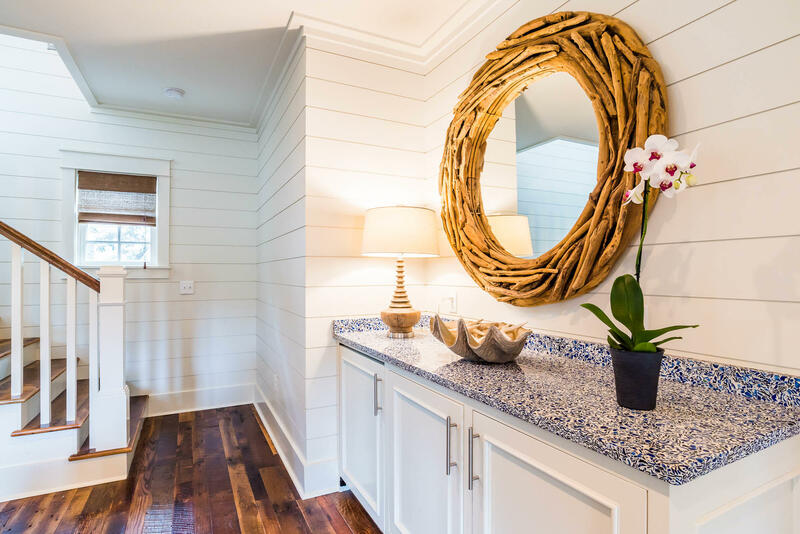 Wide plank wood walls painted white are complimented by the distressed look of the reclaimed pine floors used throughout the cottage and the effortlessly chic furnishings. 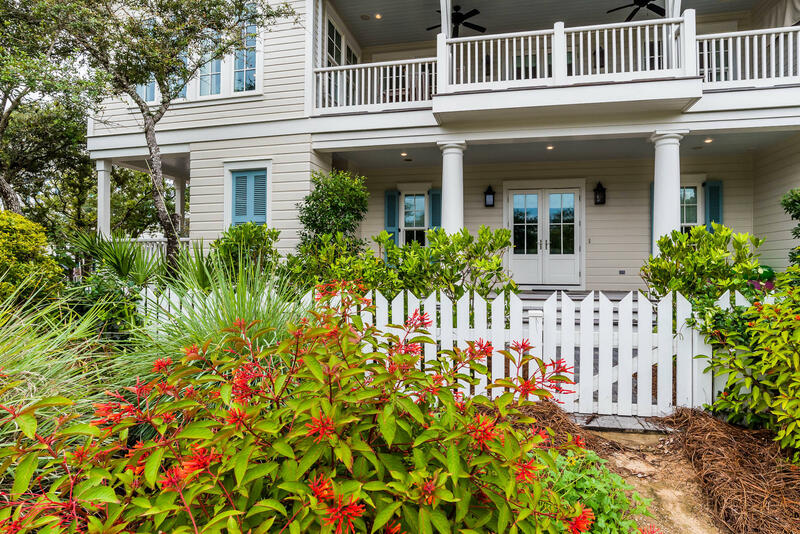 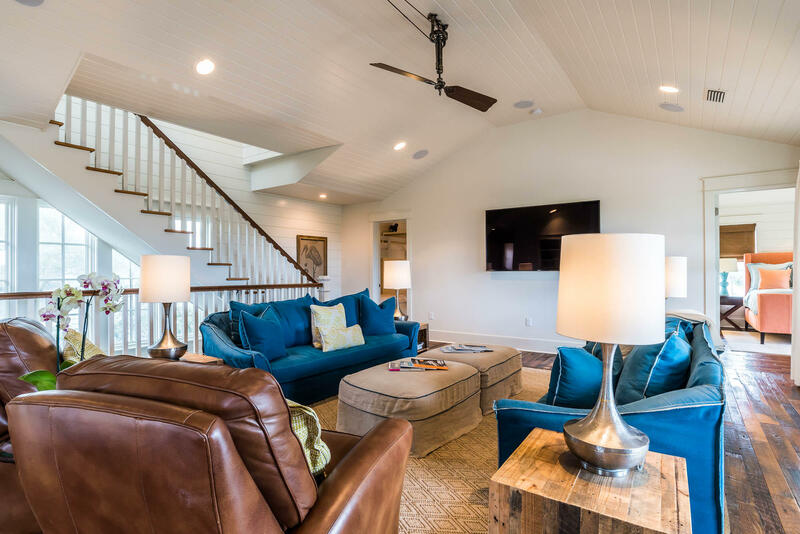 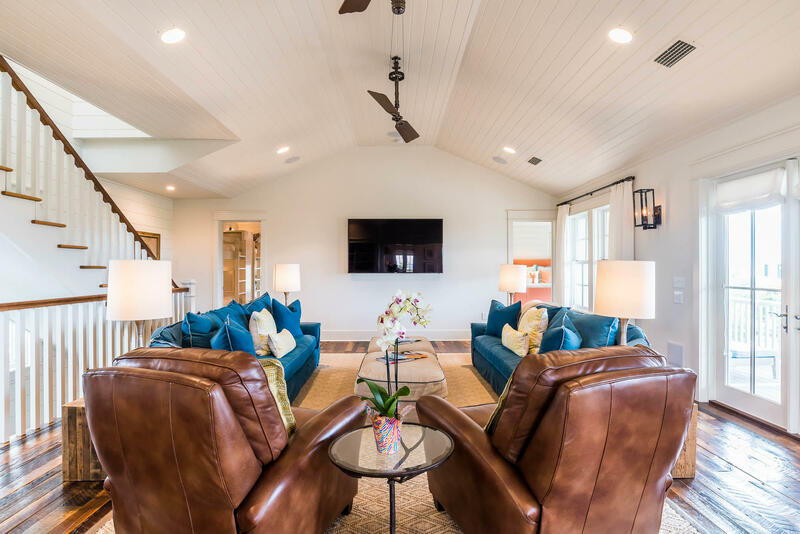 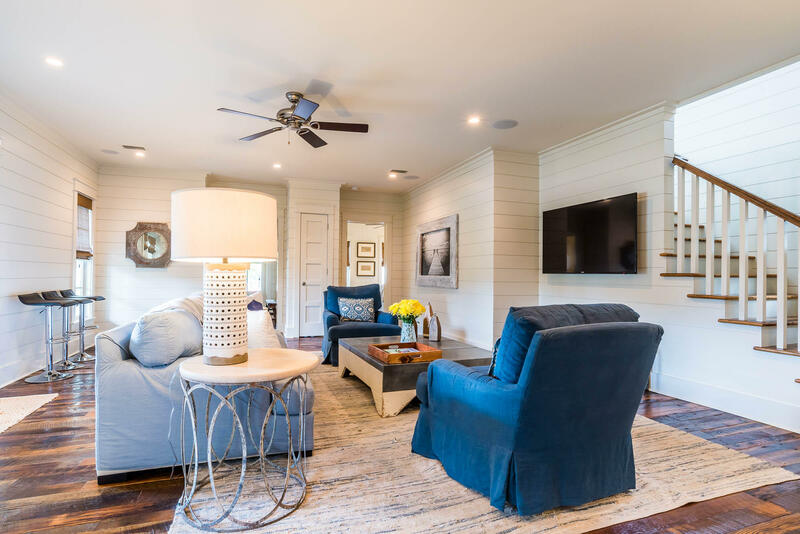 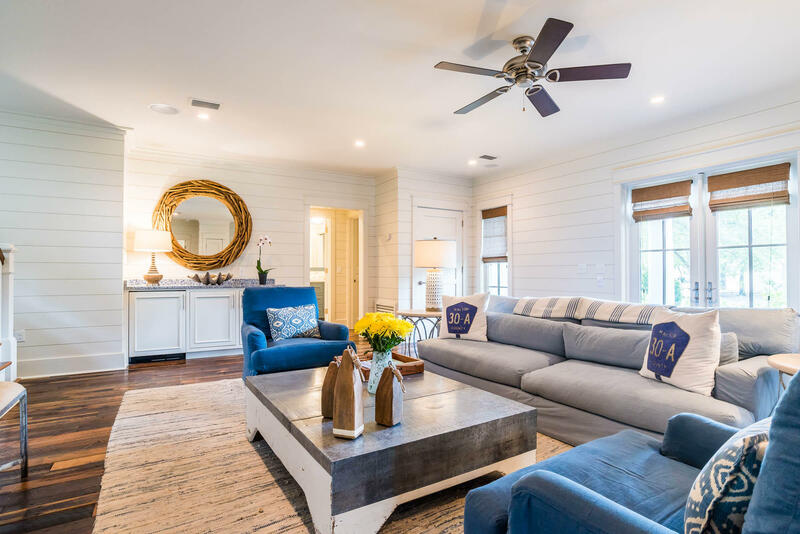 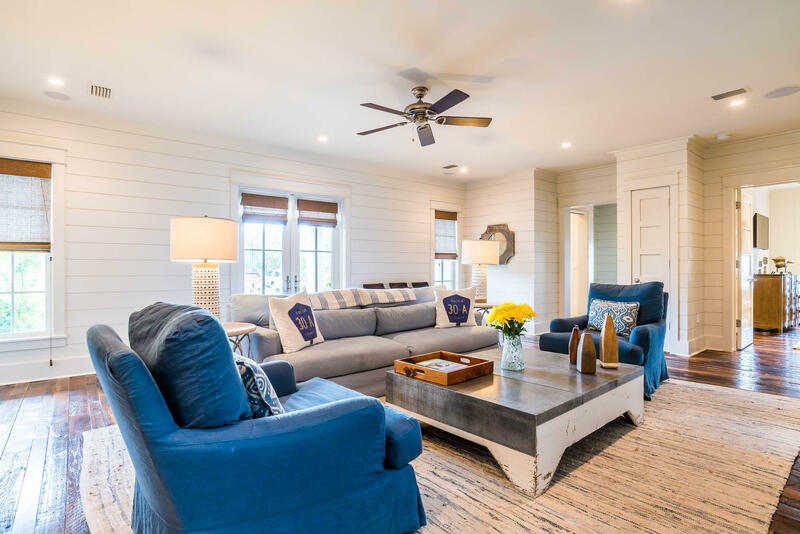 The first of two living areas of this spacious family cottage is flanked on one side with a grand maste and two additional guest master suites are on the opposite side. 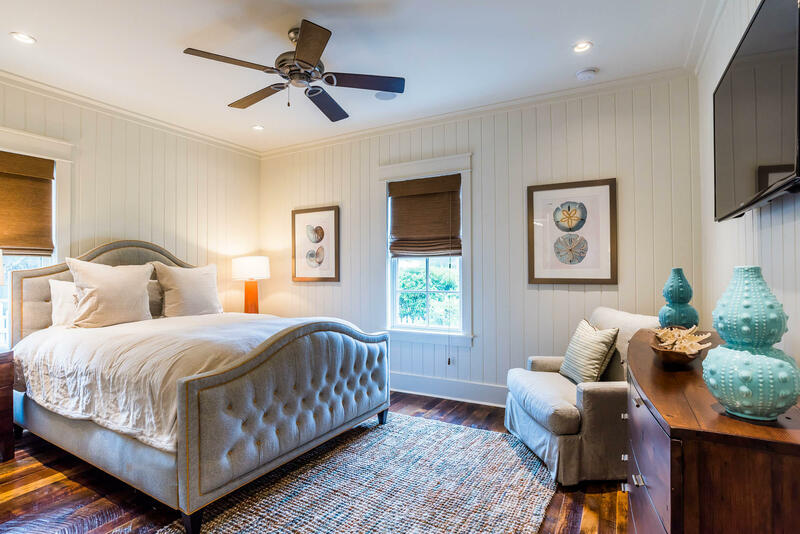 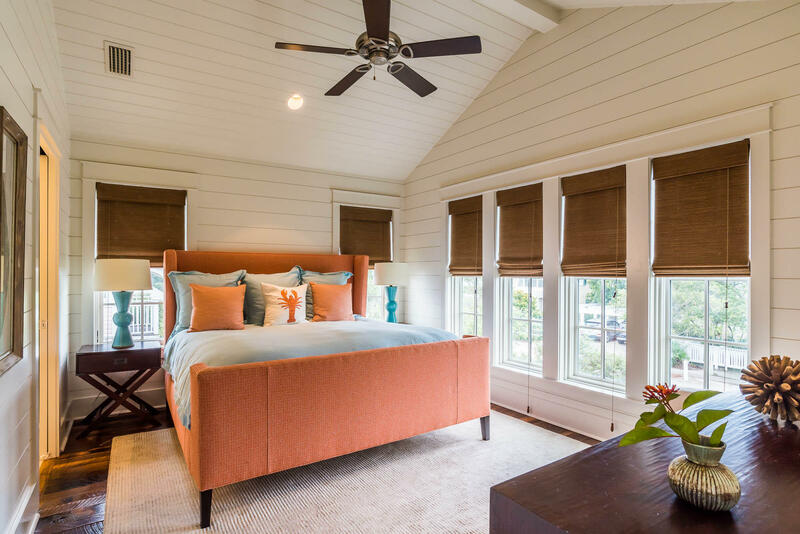 Each bedroom has its own serine personality. 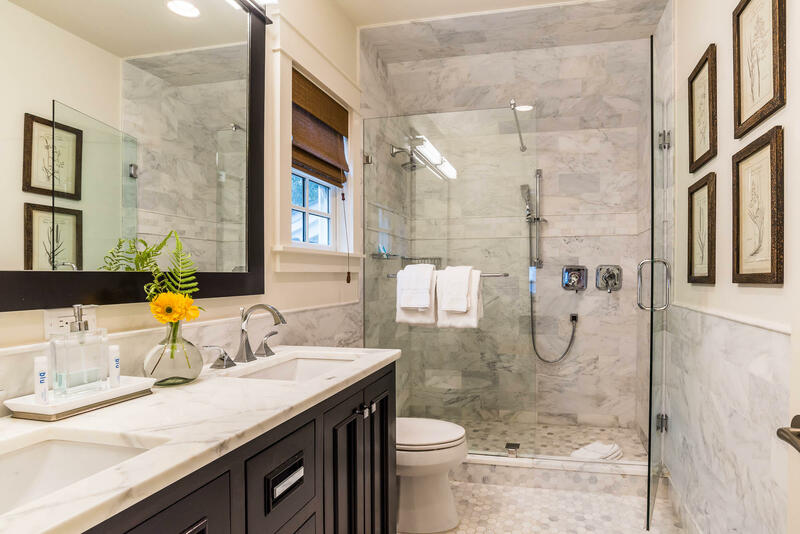 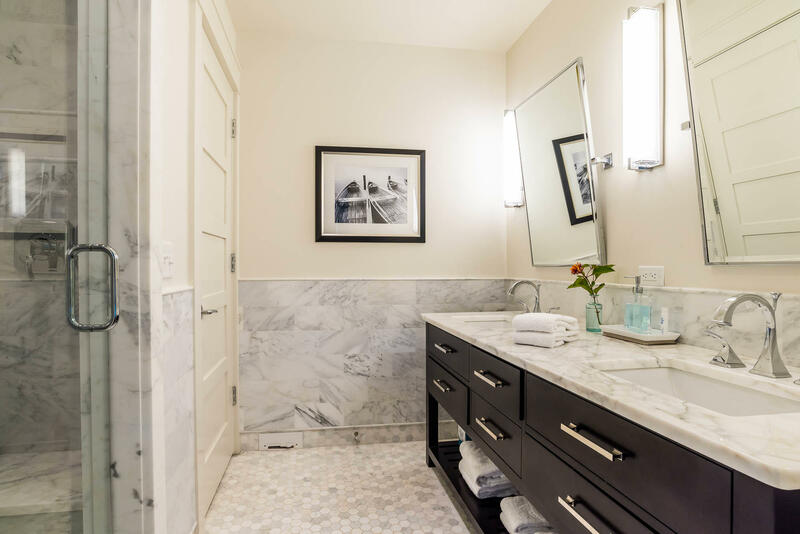 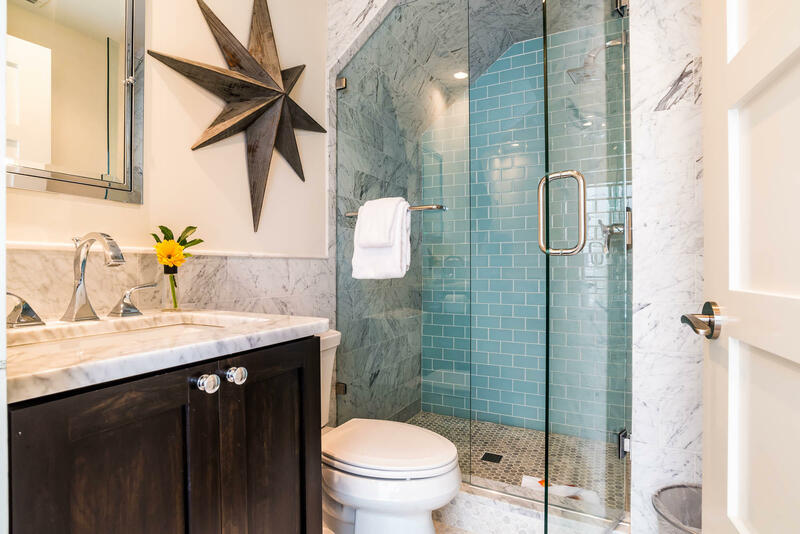 All three private baths are finished in high style with marble used in showers, walls and floors. 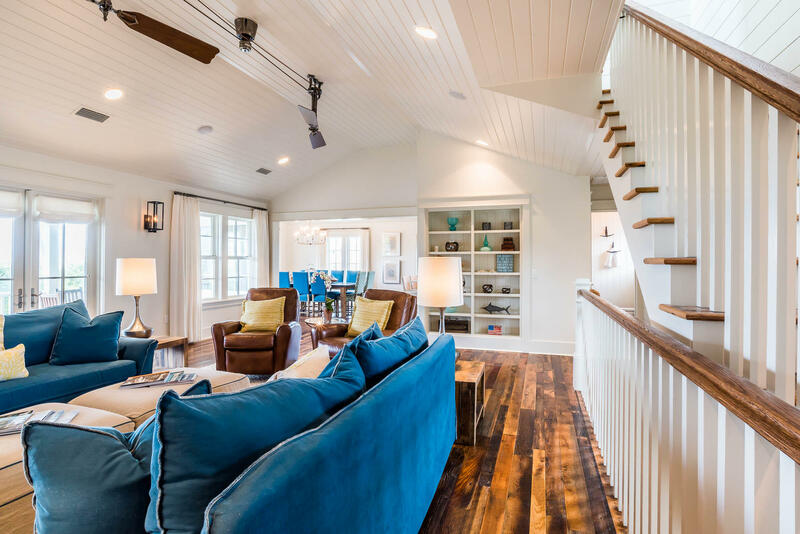 Ascend the staircase to the generous second level main living area, with laid back luxury and all the conveniences families require today. 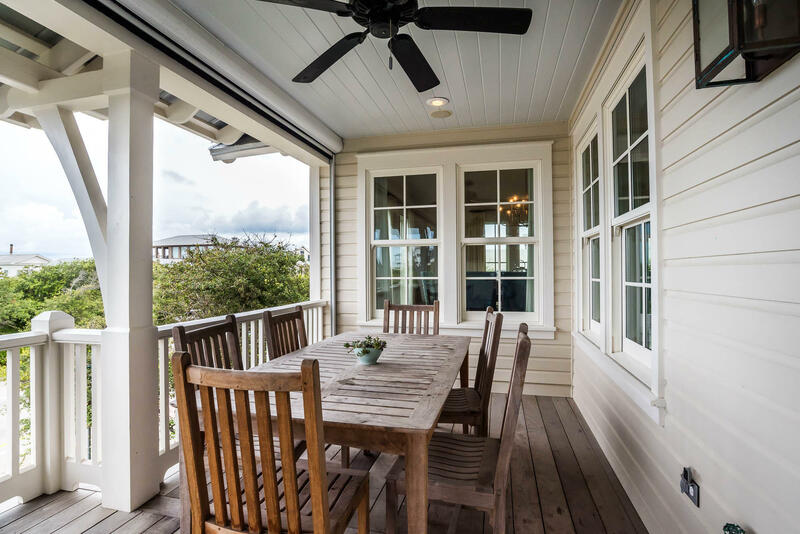 A set of French doors lead to a large porch with dining table and chairs for entertaining outdoors. 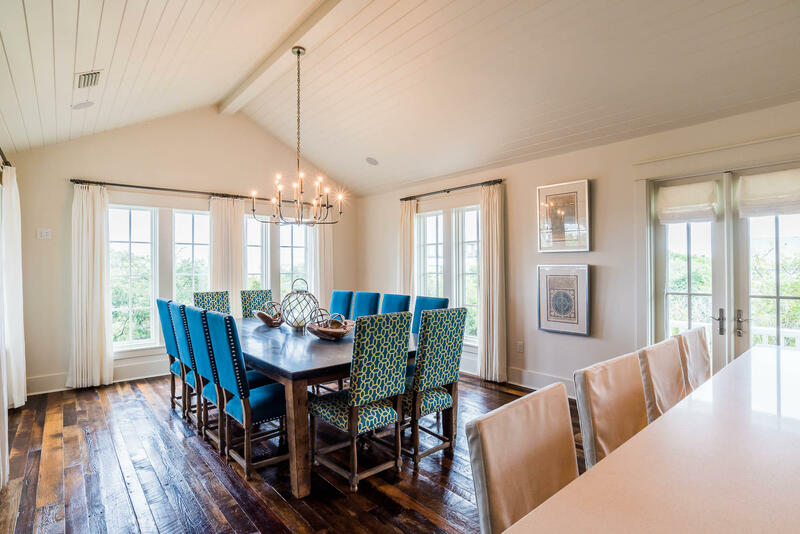 The indoor dining room is surround with floor to ceiling windows to ensure plenty of natural light. 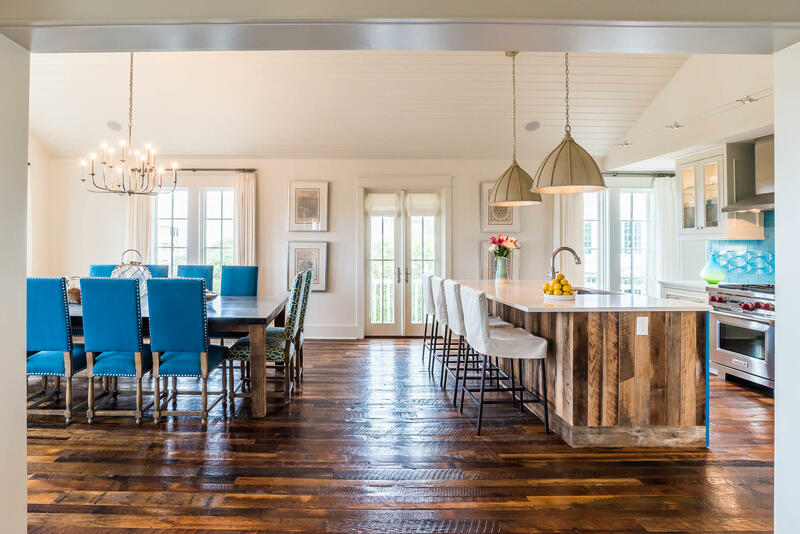 The slate, metal and wood dining table seats twelve comfortably. 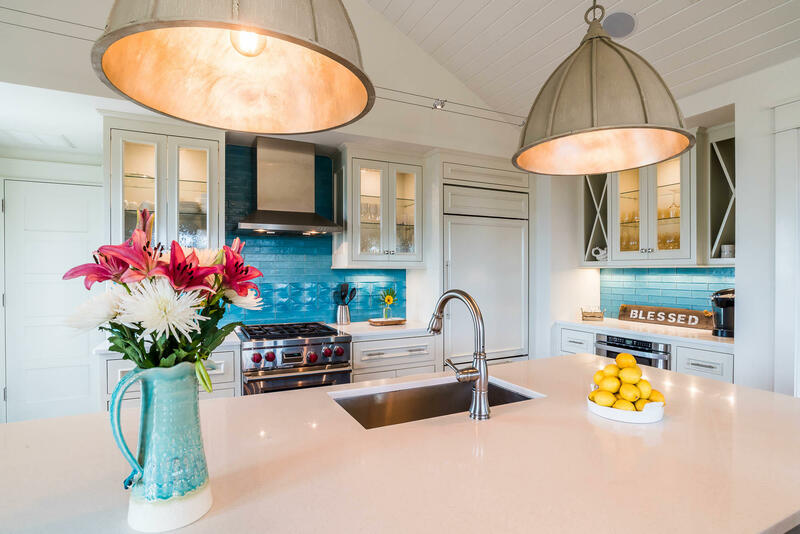 The open kitchen is modern with all stainless steel appliances, four burner Wolf gas stove, Sub Zero refrigerator, Bosch dishwasher, glass tiles, glass front cabinetry, pantry and marble island seats four. 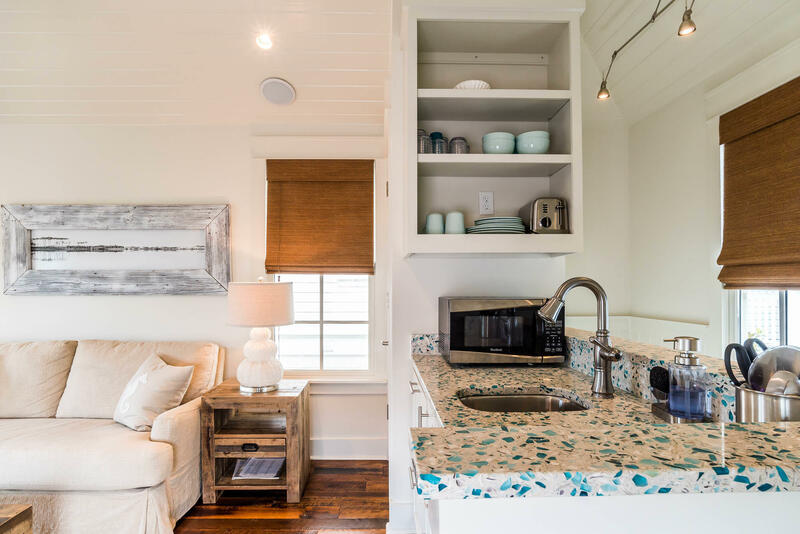 Family chefs will enjoy taking turns preparing their favorite meals and/or picnics to take to the beach. 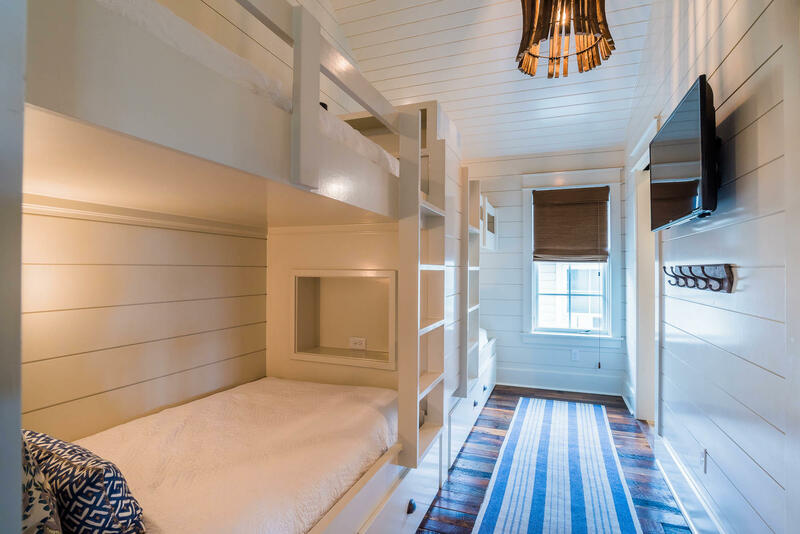 The fourth guest master suite and a bunk room for four, each with private bath are also located on this level. 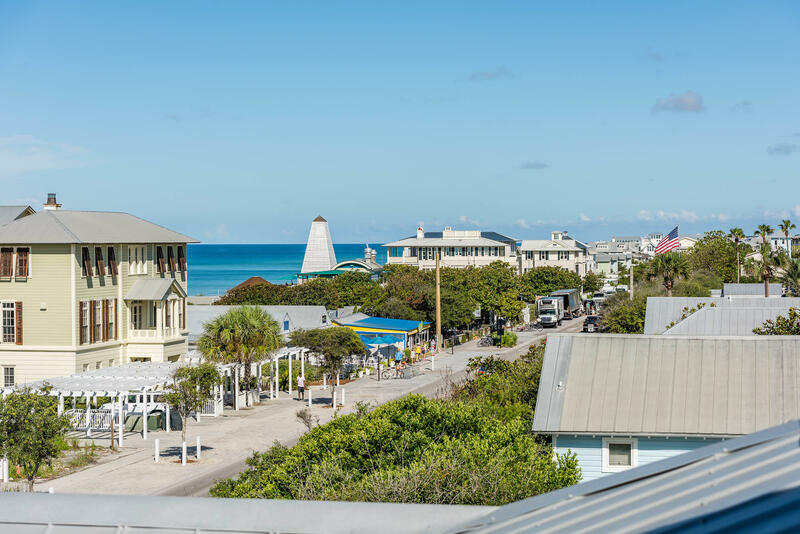 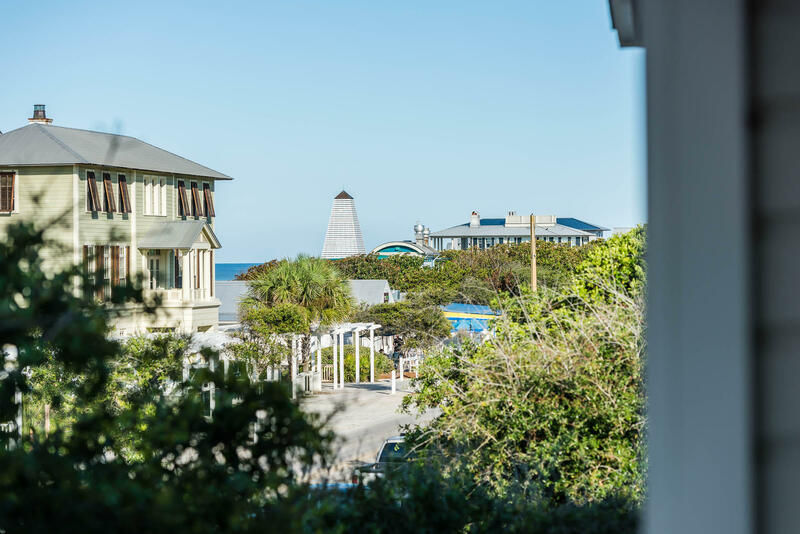 Continue upstairs to the enclosed tower with 360 degree views of Seaside rooftops and views of the Gulf of Mexico. 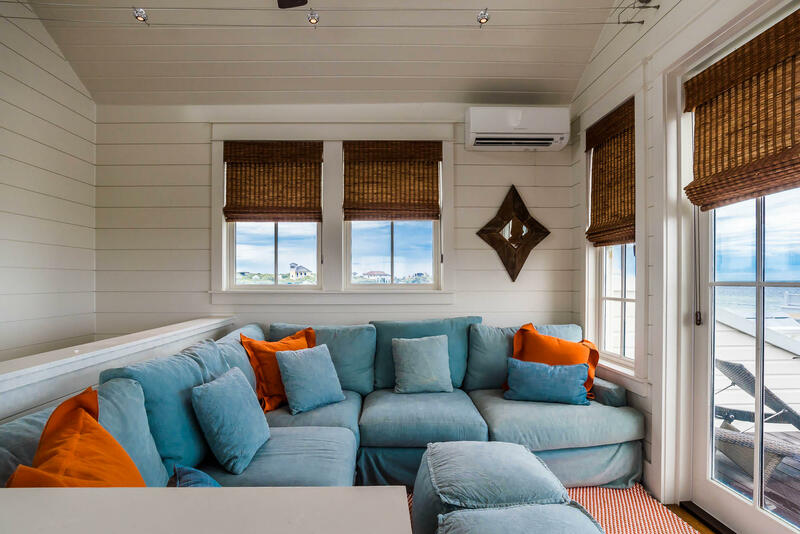 Take a nap on the sectional sofa while listening to the sounds of the surf or sunbath on the open deck. 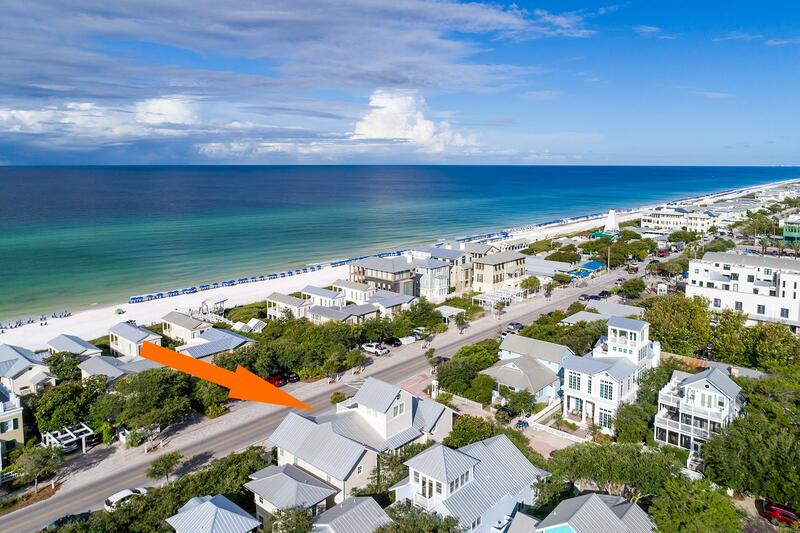 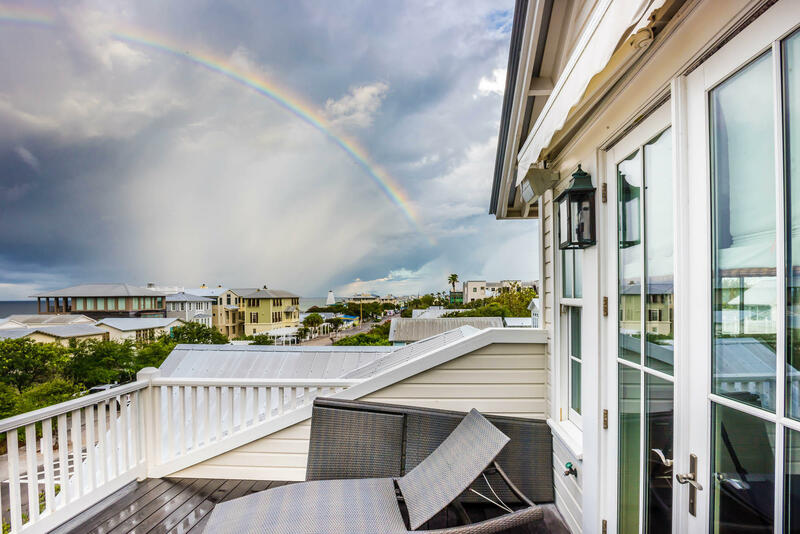 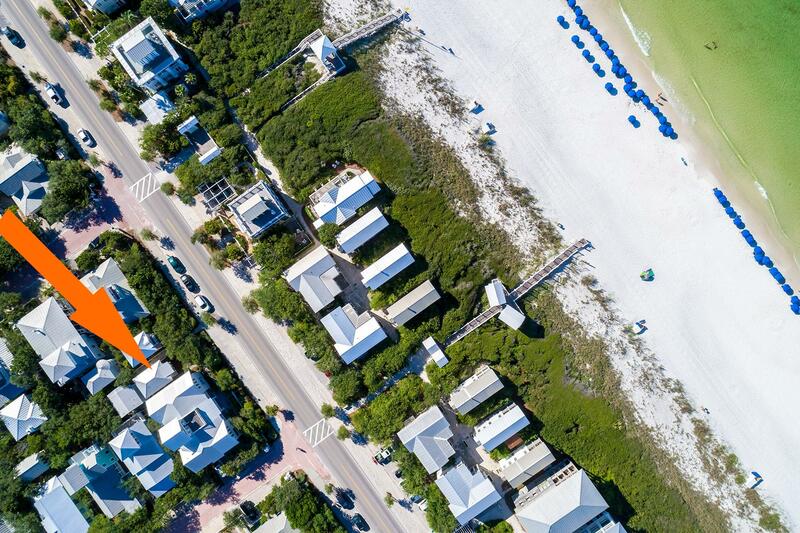 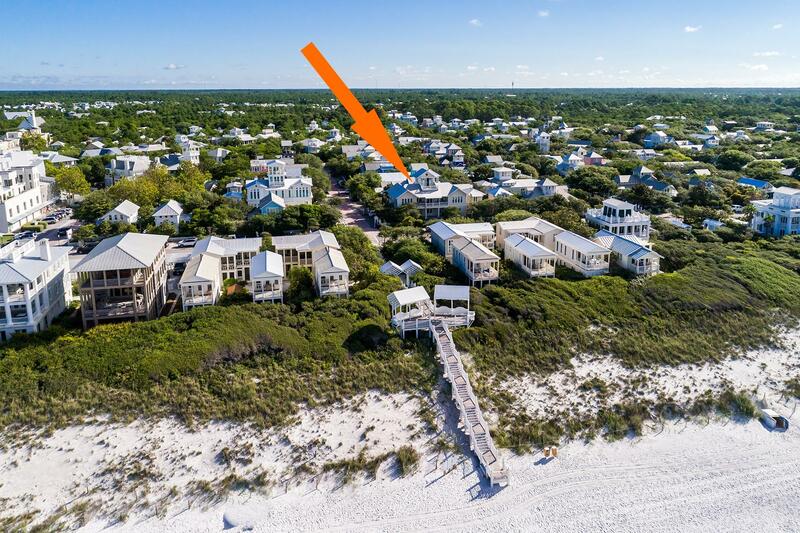 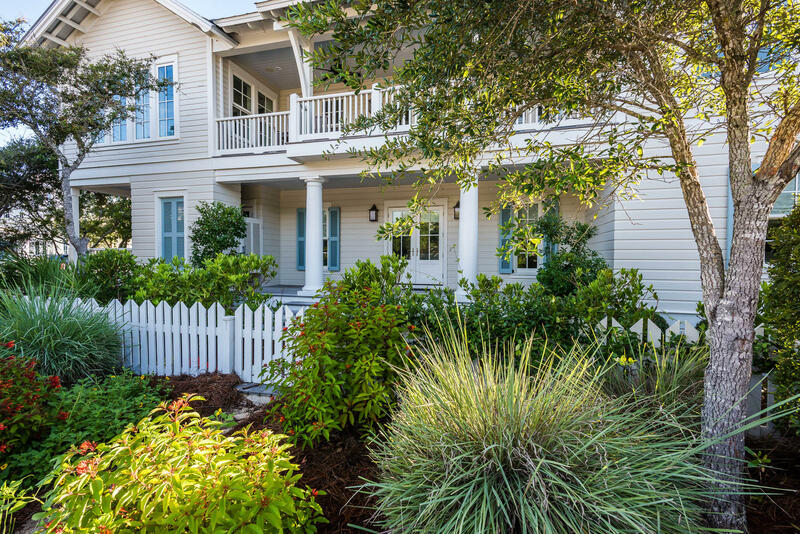 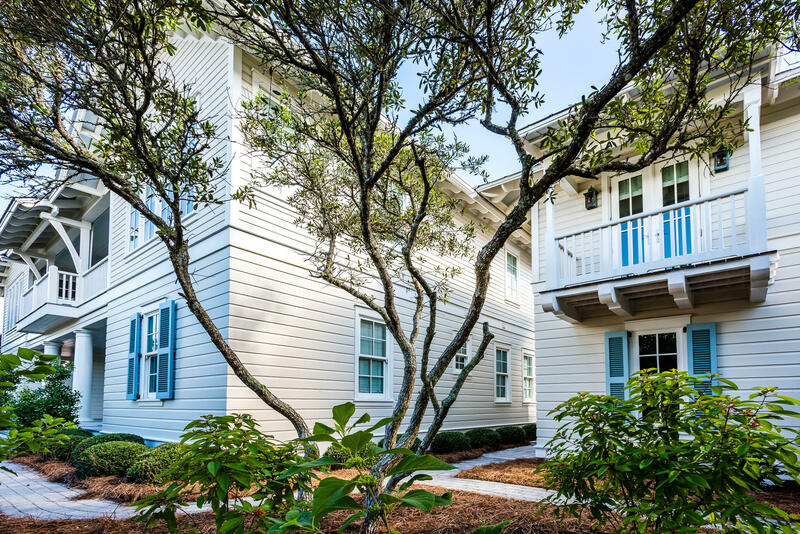 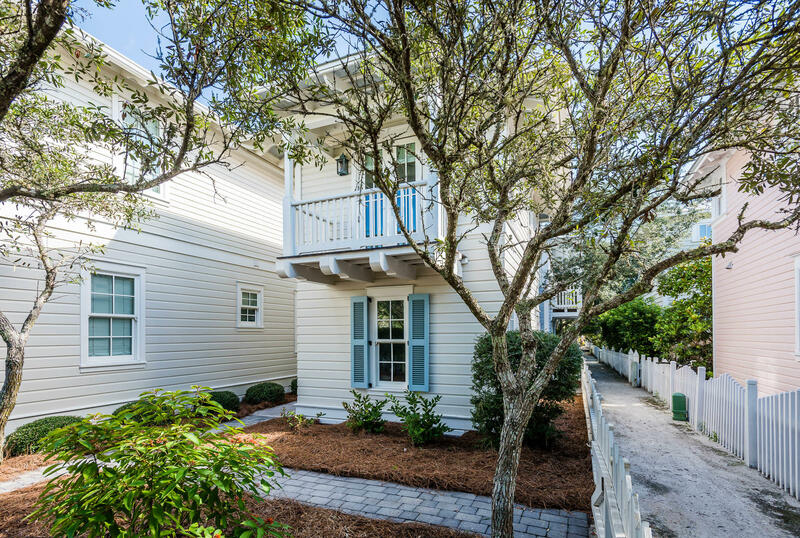 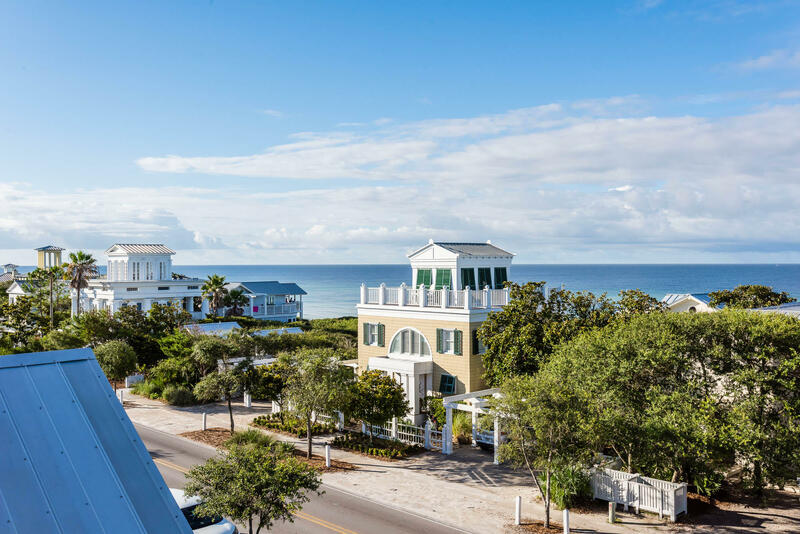 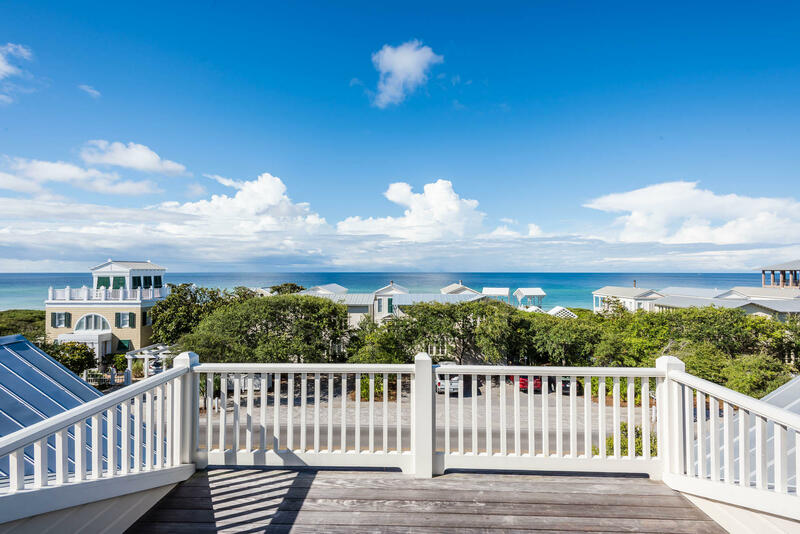 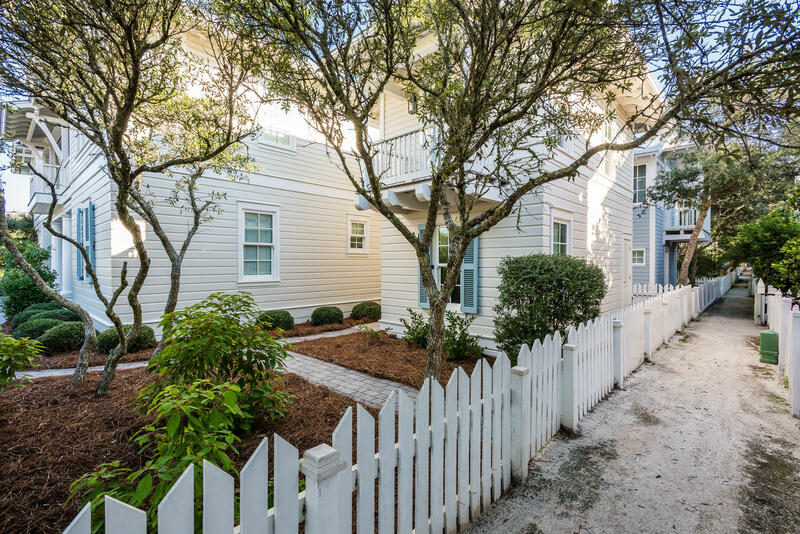 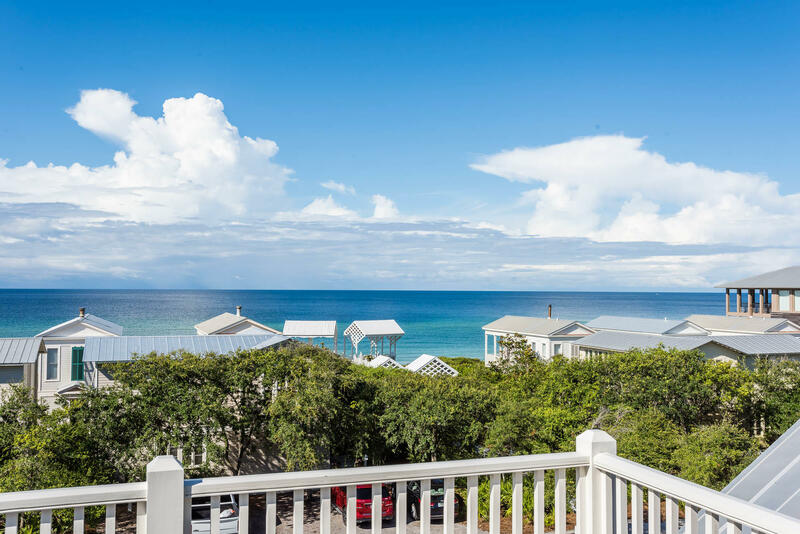 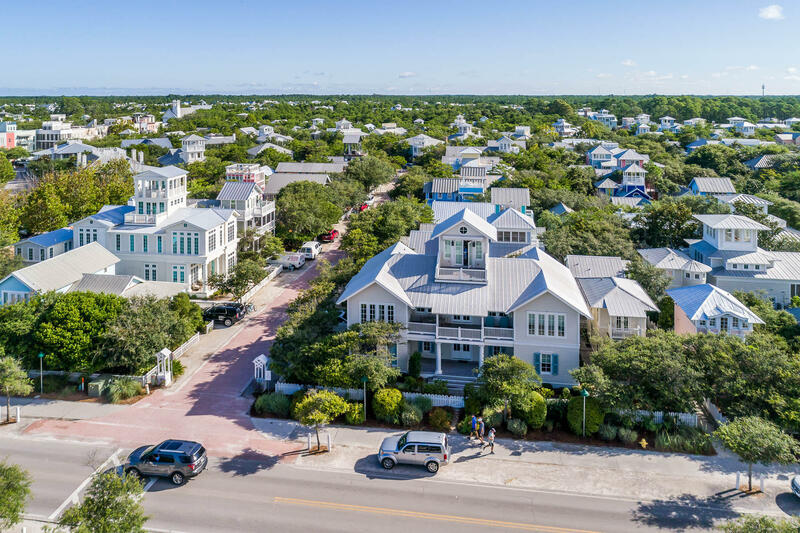 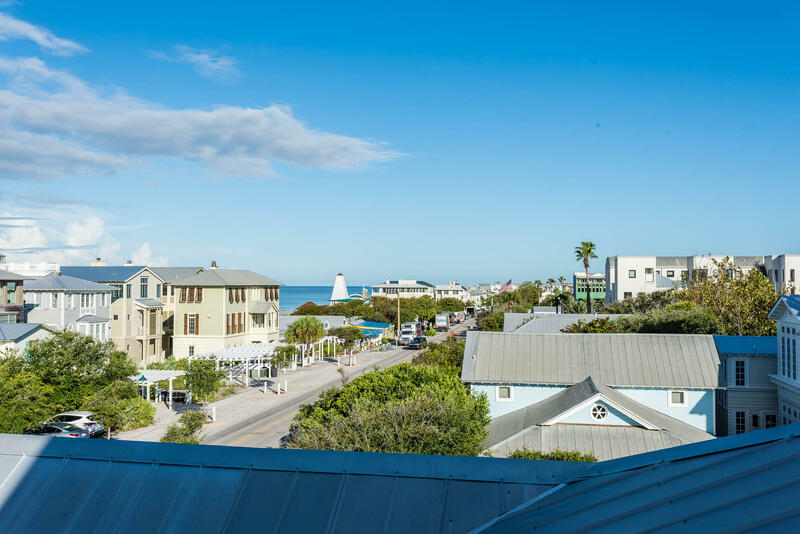 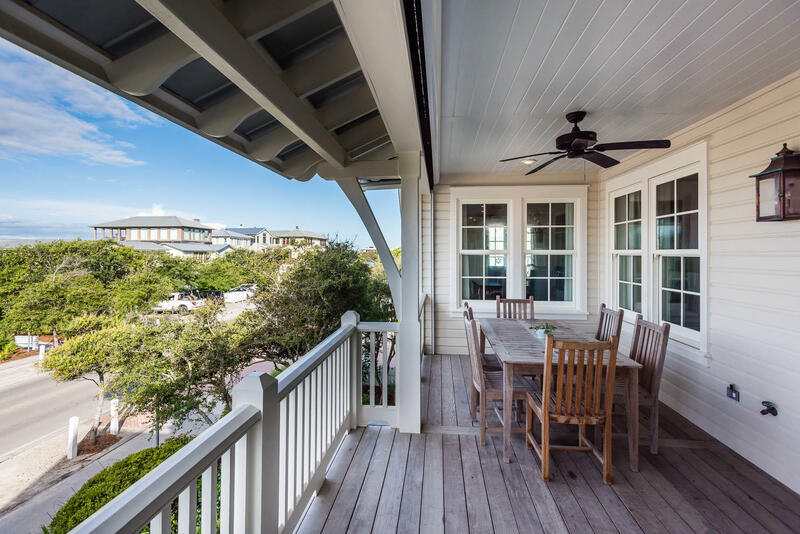 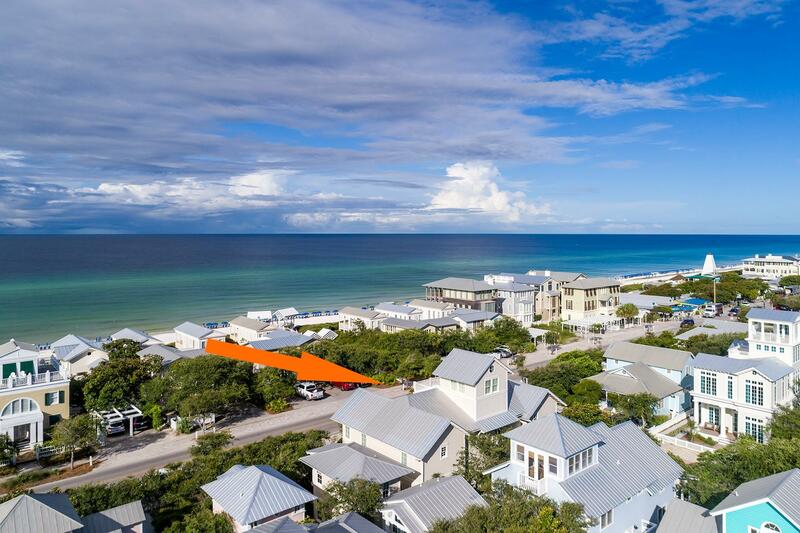 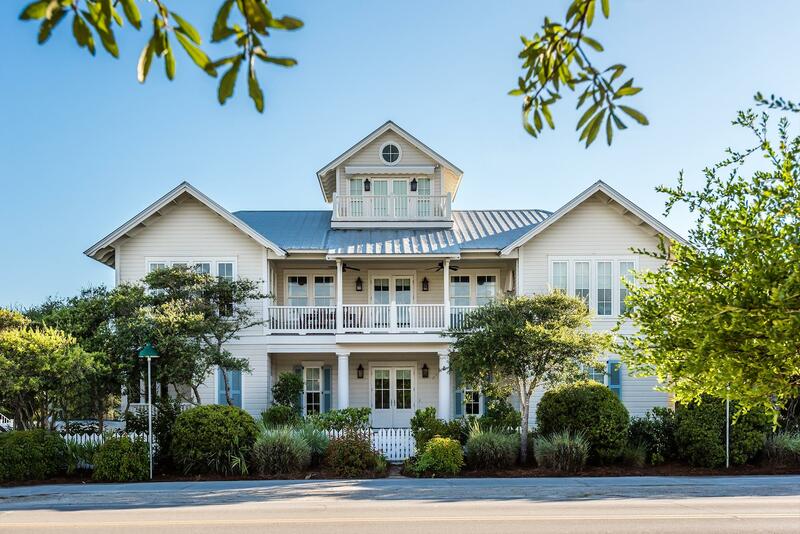 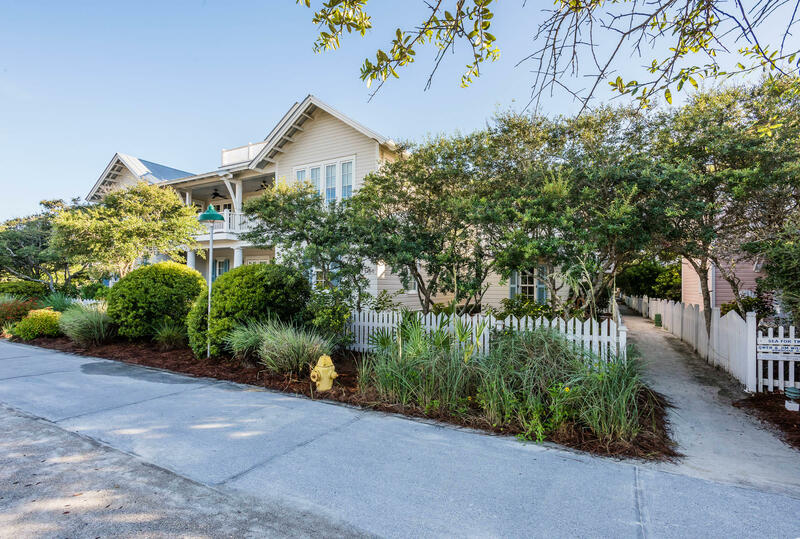 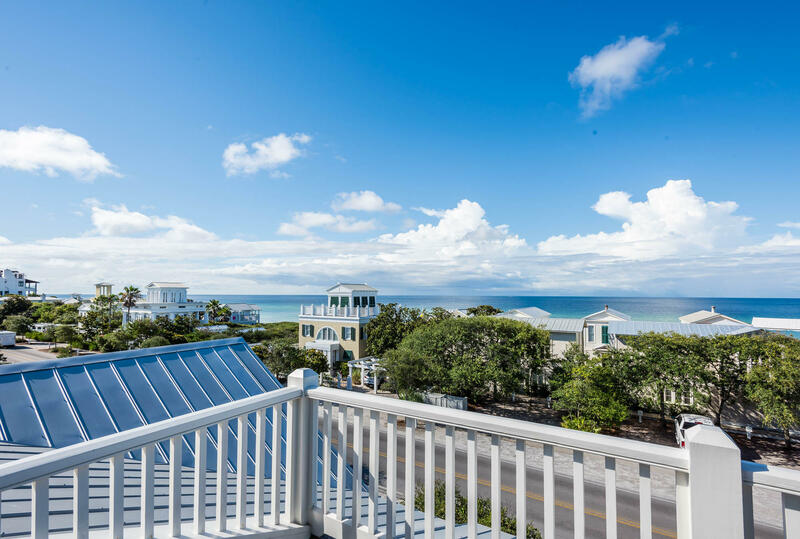 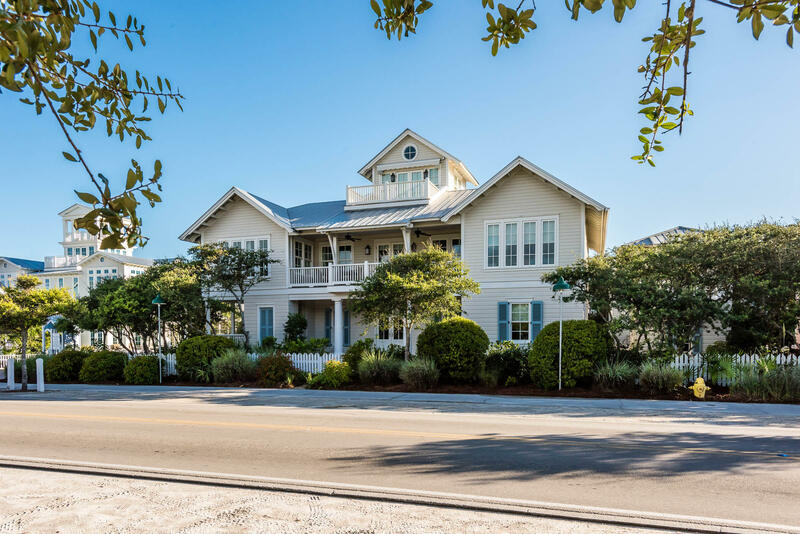 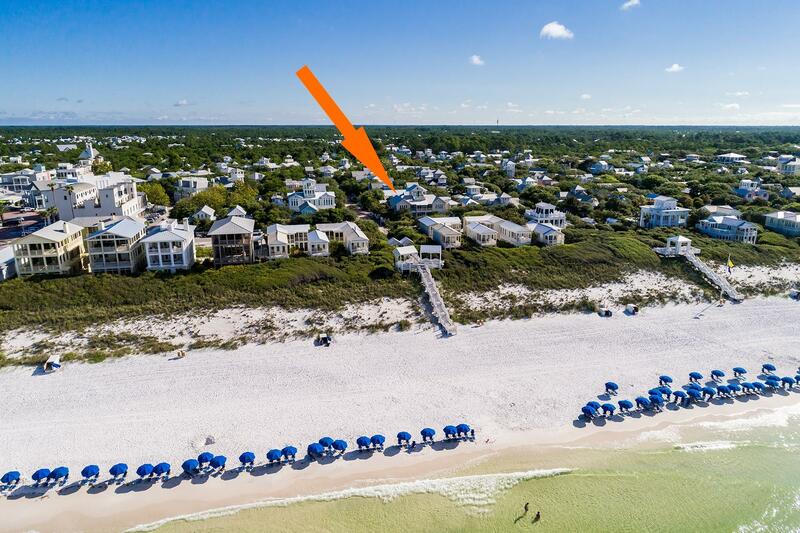 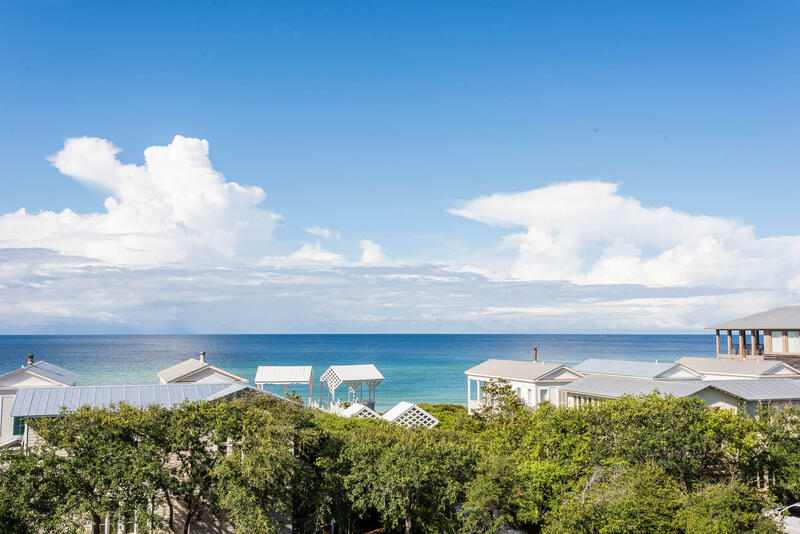 Just steps from the beach, the close proximity to the gulf is a luxury. 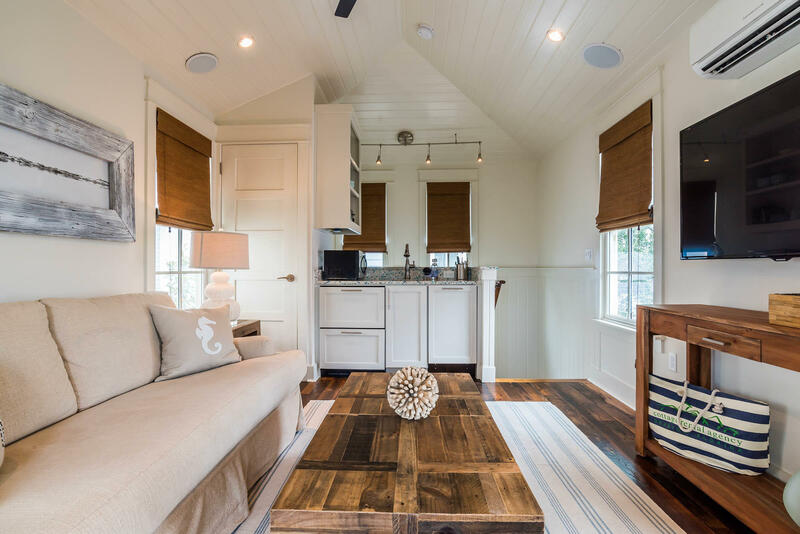 The cottage will exceed all your expectations for a family retreat. 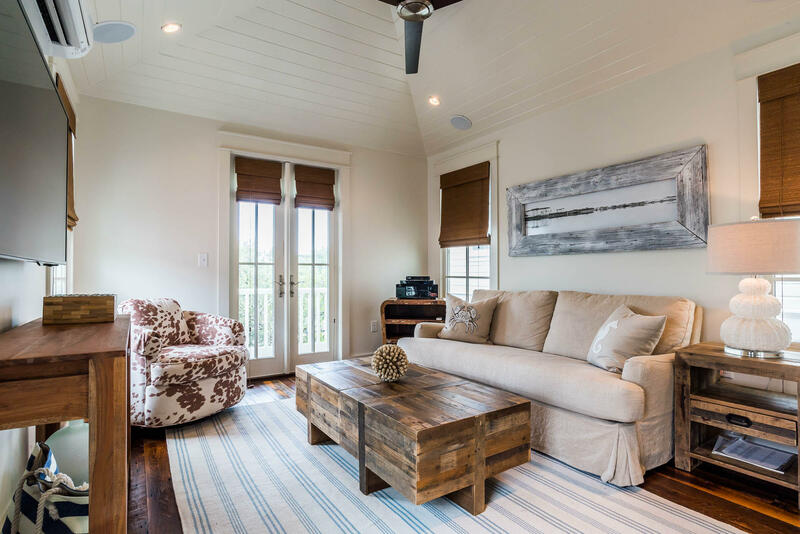 Tender Dock is a perfect guest house to South Dock. 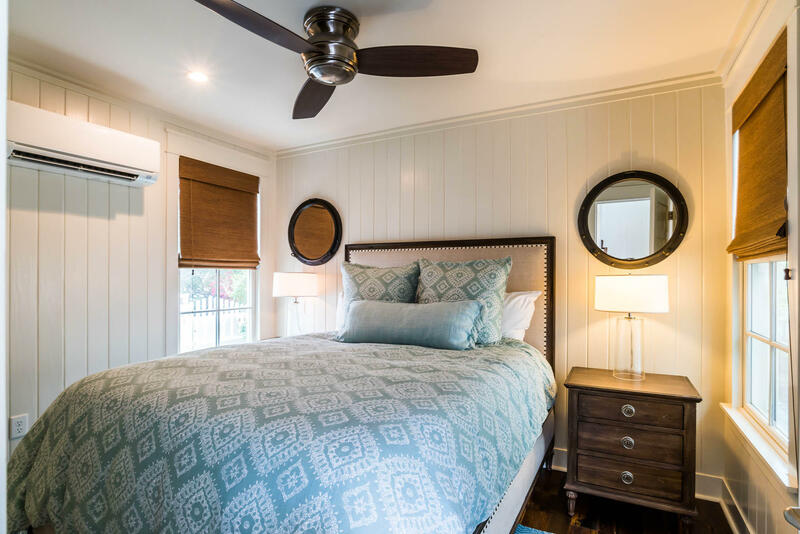 Adjacent to one another the guest cottage can be occupied along with the main cottage or as a standalone getaway for a couple. 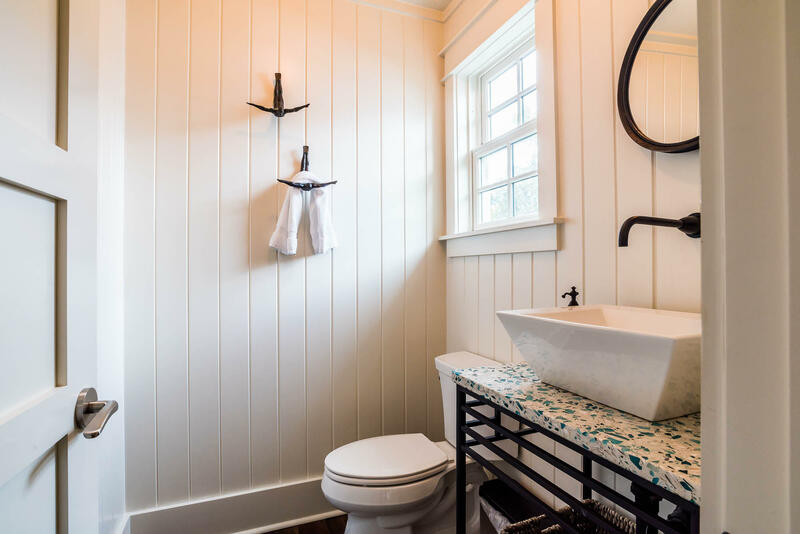 This one bedroom, one bath cottage is simple, elegant and romantic. 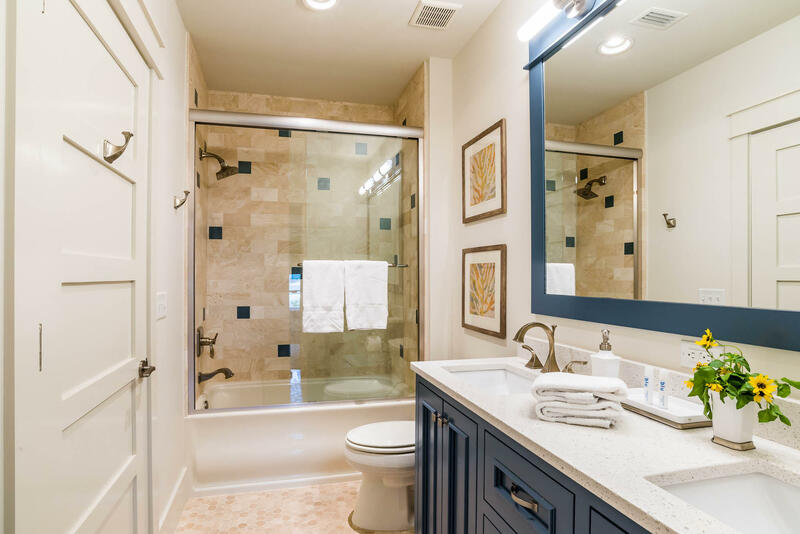 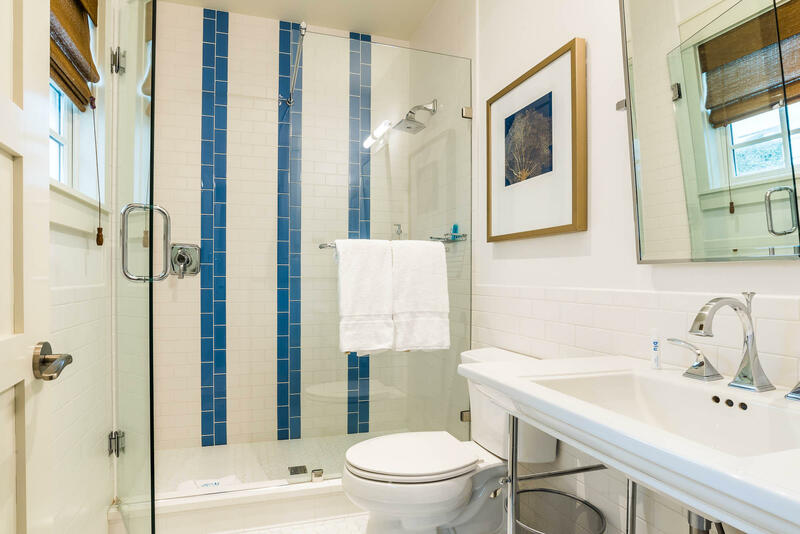 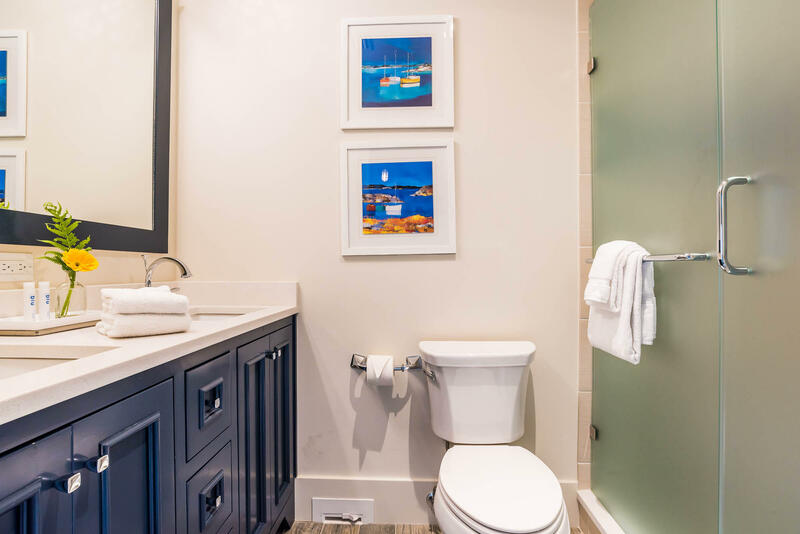 The first floor bedroom and bath are luxuriously appointed. 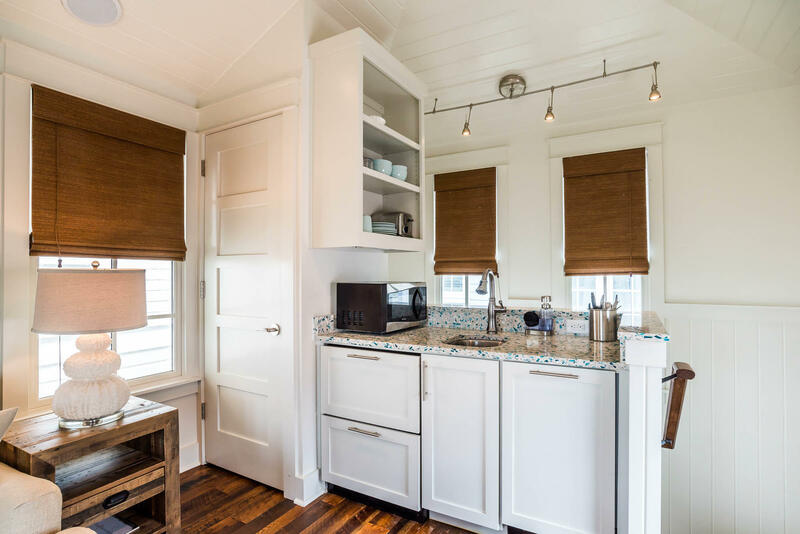 Head upstairs to the living room with kitchenette. 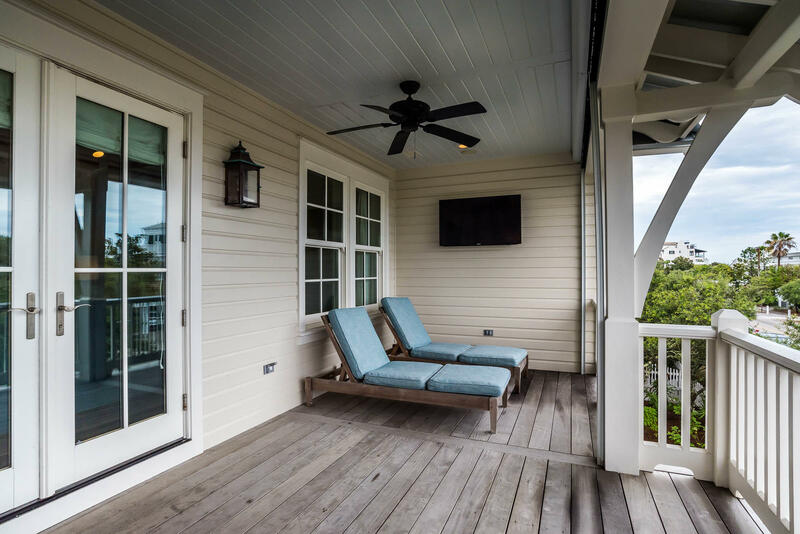 A Juliet balcony provides unobstructed views of the garden and nighttime stargazing. 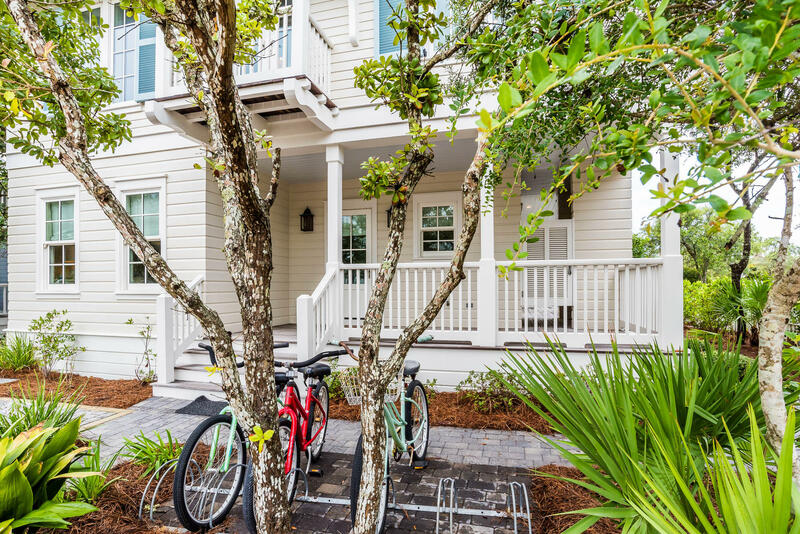 Private parking on site.